When your writing is published on a site other than your own, it can be exciting to sit back and see the response. Often your host site will promote it on social media or in a newsletter, and if they have included a link to your website or blog, you may see some residual traffic coming your way as well. 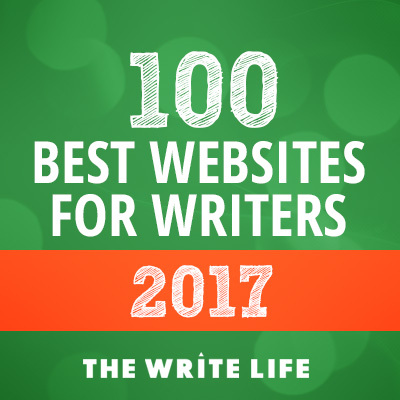 Not all sites have a large audience at the ready, and many of them depend on guest writers to promote their work once it is published in order to send new readers to the site, and help grow their audience. If the site is larger, they often still appreciate when writers promote their work, because it is still a source of advertisement for them as they grow. 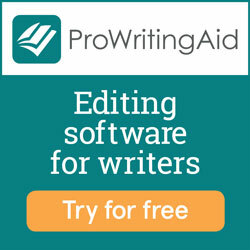 Most editors watch stats closely and many are even compensated and evaluated based on numbers for the pieces published in their section(s) of an ezine or website. By promoting your piece and driving traffic within your own network (however small) you are showing the editor that you appreciate them publishing you, that you are proud of the work, and that you want to show your support for the site and for them by encouraging your readers to visit. More and more sites offer bonuses based on views and/or shares these days. By promoting your work, you can help increase these numbers, which may benefit you if you can reach certain milestones. Sharing a social message or opinion, starting a conversation, and sparking other writing and media opportunities are just a few reasons for wanting to get eyes on what you have written. Let’s also remember ego. Sometimes you just want people to know that you are published on Scary Mommy gosh darnit! If you wrote something and submitted it to a publication, you want it to be read. Whatever your reason, promoting your work can make a dramatic impact on readership. So how do you do it? Here are 10 ways I promote my own work each and every time I am published on a site other than my own blog. I do most of these things for posts on my own blog as well. I attempt to do the bulk of my promotion the day the post goes live on the host site and mark my calendar accordingly once I know the go-live date. Since many social platforms (like Facebook and Twitter) are set up to give more visibility to posts that are shared/liked/engaged with more frequently, it is always a good idea to share FROM the host site’s original share of your article if you can. Be sure to like it and comment on it as well. Sometimes your host site won’t share your article on social media, or will not have shared yet by the time you are doing your promotion. In that case, you can can create your own new share (see below). I know this seems obvious, but make yourself a checklist for the day the post goes live so you don’t forget or ignore an important platform. Personally I only use Facebook, Twitter and Pinterest, so I concentrate on those 3 with an extra push on which ever seems to be biggest for my host. They know where their audience is, so if they are big on Facebook, I make my biggest push there by scheduling a post for the day of publication, and possibly future shares as well. Extra Tip: Pin your post to the top of your Facebook or Twitter feed for the first week it is published to get more eyes on it! Tagging on Twitter can also be great to increase sharing. For example if I write an article and reference another author, website or topic of interest to an organization or individual, I will tag it appropriately and those accounts will often retweet to their audiences. I know, I know. There are groups on other platforms as well. Personally I get the most out of Facebook groups in terms of engagement, but if you are active on Linkedin, Google+ or other groups, include those as well. The trick here is not to ONLY participate in a group when you have something to promote. Make sure the group allows self promotion in their rules (the group description will usually indicate this), and find out HOW they want you to share (a new thread, a daily share thread where you leave a comment etc.). If you do participate in a thread with rules about liking/sharing others posts, be sure you have the time to do that, as it can get overwhelming when you have too many of these going at a time. Be sure the content is relevant to the group and that you select groups carefully so you don’t give yourself a reputation as an over-sharer whose new article link shows up in 17 group feeds/threads at the same time. If you are not familiar with these sites, they are sites that allow you to bookmark a specific link to be shared with others. Personally I like StumbleUpon, but there are others as well like Reddit, Digg, etc. that do similar things. As a Stumbler, I select topics I am interested in and when I go in to “Stumble” around the internet for interesting content, pages that others have Stumbled are served up to me and I can like them (or not), which will affect how much those pages may or may not be served up to other users. Sometimes your Stumbled page will get a lot of momentum and other times it will flop, but it is worth 10 seconds to give it a chance at some awesome traffic. StumbleUpon does not like you to constantly Stumble things from your personal blog, so Stumbling your work on other sites is a great way to mix it up. Catchy titles do well! Creating a teaser post is something I do if I don’t plan to (or am not allowed) to post the full content on my site at a later date. It is simply a short post enticing your blog readers/subscribers to click over and read the full content of the post on your host site. This article gives some tips and ideas for how to create a great teaser post. This step may not drive loads of traffic, but is a way to ensure the article you wrote is accessible to your future website readers who may be interested in reading more of your work. Add the link for your article to your portfolio page on your website or blog to chronicle your publication achievements. How To Create A Featured Writing Page In 5 Easy Steps will get you started if you have not yet created a page like this. Commenting on both the website comments as well as social media (your post/your host’s post) can have an effect on sharing simply by starting a conversation around a topic. Remember that on social media, comments often help increase the visibility of your post, so starting/encouraging conversation in comments for your piece can be very beneficial. This seems old school, but we all have the people we reach out to on email who don’t really interact as much on social media. Personally, if someone I know sends me an email with a link and asks me to read it, I almost always will. Be selective with who you email so that they are not getting bombarded with every article you write. More subtle than sending an email, adding a link in your email signature to a post you are trying to promote is a great way to get the word out. If you have a newsletter that goes out to your blog or website subscribers, be sure to include links to work you have had published on others sites. Readers may miss things on social media and appreciate getting a link in their newsletter to other pieces you’ve written that they won’t find on your blog. Do you have a clever or creative way you promote your articles published on other websites? We want to hear about it! Leave a comment, or submit an article about it and we may publish it on Beyond Your Blog!